Beads and Banter is our FREE jewellery making session, it’s open to all (beginners and seasoned bead addicts). Just come along to a session, grab a free cup of tea or coffee, meet fellow beaders and we’ll help you get started. 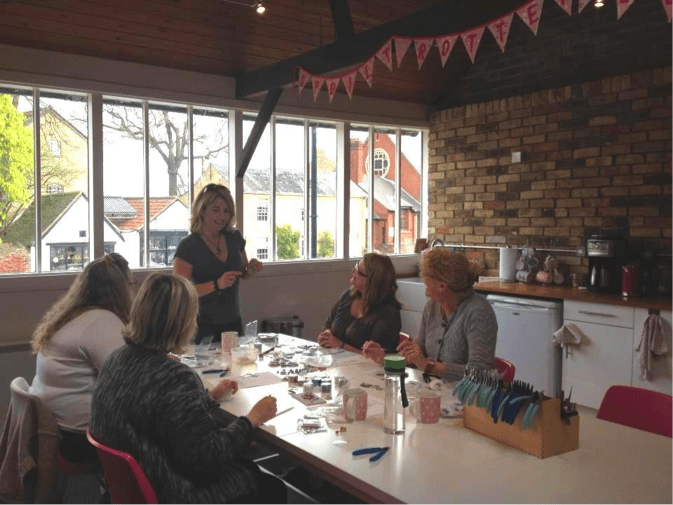 Often we’ll be demonstrating a new technique or stitch so there’s always something new and exciting to learn and lots of inspiration too! There’s no need to book your place – just come along and join in the fun!